Two weeks from release, Vermintide 2 has already made more money for developer Fatshark than its predecessor. In terms of revenue, Vermintide 2, which only released on PC so far, is already ahead of what the original game achieved in two years. The first Vermintide came out on PC and consoles, but it seems the sequel has been a bigger success than Fatshark imagined. CEO Martin Wahlund told PCGamesInsider (via GamesIndustry) that the feat was achieved in just two weeks, and it’ll no doubt be even bigger when PS4 and Xbox One versions release later this year. “We knew we had a good game. We didn’t have a huge marketing budget, but we got a lot of support, both from the media, from streamers and from gamers all over the world,” said Wahlund. Fatshark recently announced the game has sold over half a million copies in the first week on sale, so it’s easy to see how this milestone was achieved. Wahlund believes Vermintide 2’s success is a combination of the strong word of mouth by the original’s audience, and the improvements Fatshark made in the sequel. “First of all, it’s a sequel. If you do a follow-up to a game that was quite successful, which the first one was, you have the old audience, who come back and vouch for it, which gives you a headstart. So word of mouth spreads. The systems Wahlund is referring to are the progression and loot systems, which saw meaningful upgrades. Loot rewards in Vermintide 2 are more frequent, and they always drop for the class you play as, which is a direct response to one of many players’ pet peeves with the first game. We explore this feature in-depth in our loot system primer. 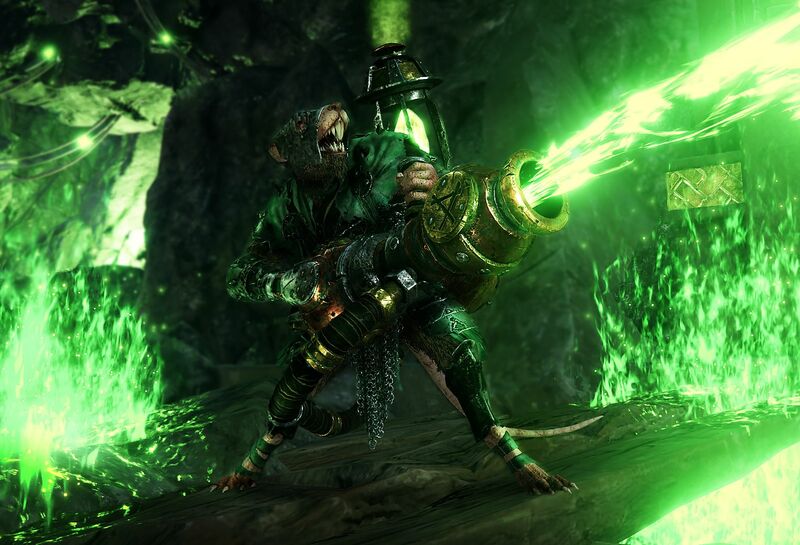 For more on Vermintide 2, check out our weapon traits and character classes/subclasses guides.